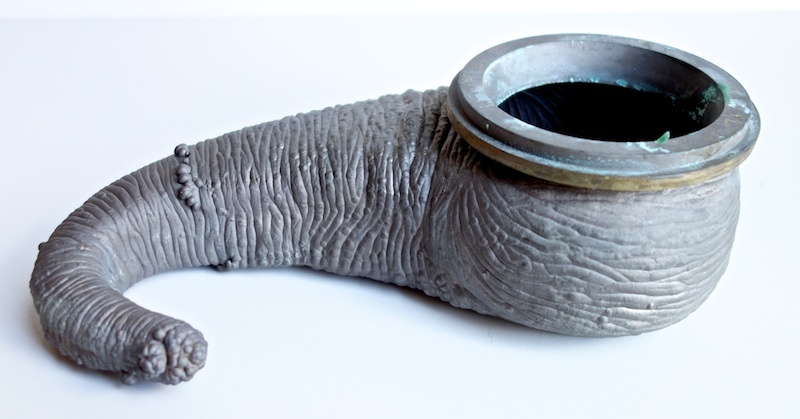 I posted about the head mold for the Hasbro Jabba Glob figure not that long ago, and at the time I didn’t think I would be able to find any more molds for a long time. 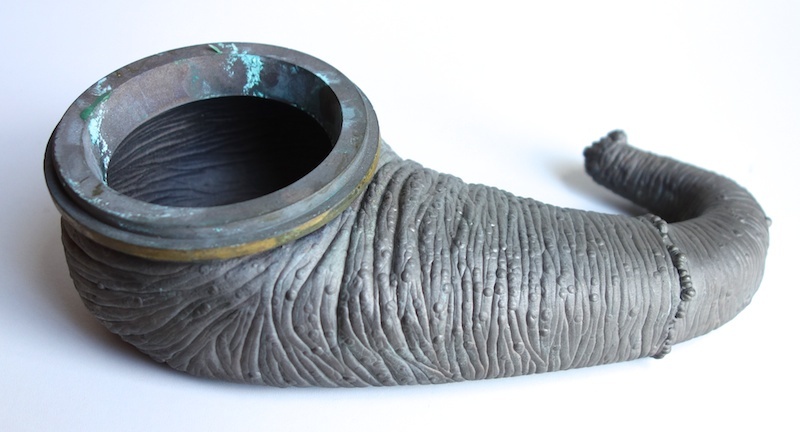 But as luck would have it, a forum posting I made about the head mold eventually led to me someone who wanted to sell this. 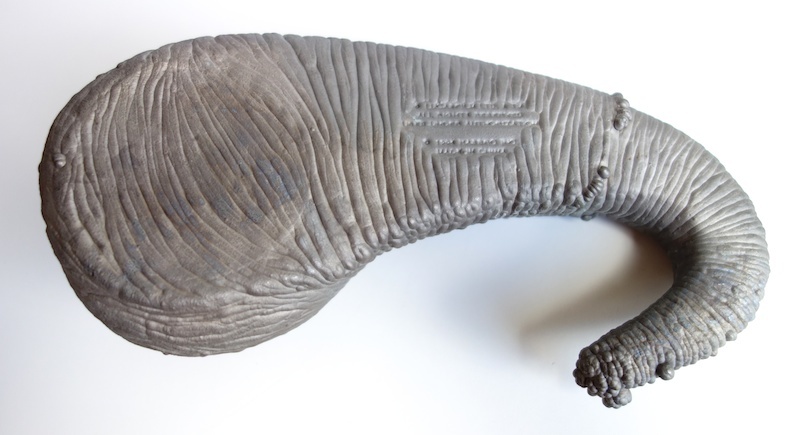 Like the head molds, this is a rotocast mold, so you can see much of the detail from the inside of the mold on the outside as well, plus some additional warty growths that seem to be common side effects of the process used to create the molds. 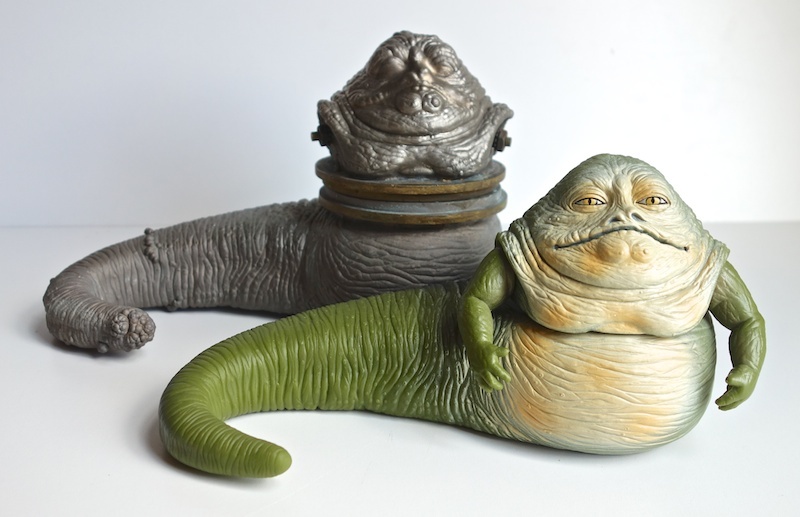 As far as I can tell, the same exact tail sculpts were used both for the Jabba Glob and Ultra Jabba figures — they’re identical down to the copyright date on the bottom. 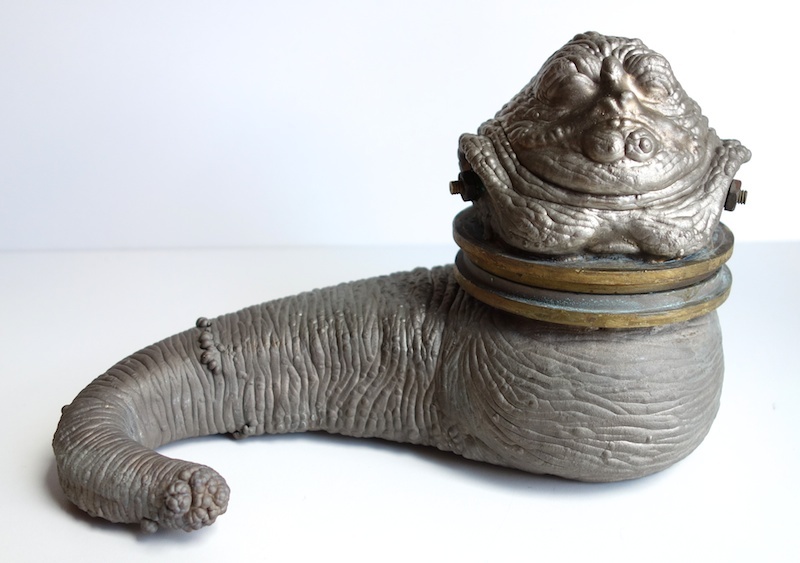 Even though the Ultra Jabba figure was released in 2004, its tail still has the same “Copyright 1998” as the Jabba Glob figure, meaning that it is very likely that this particular mold was used to produce both figures. I think that’s pretty cool. 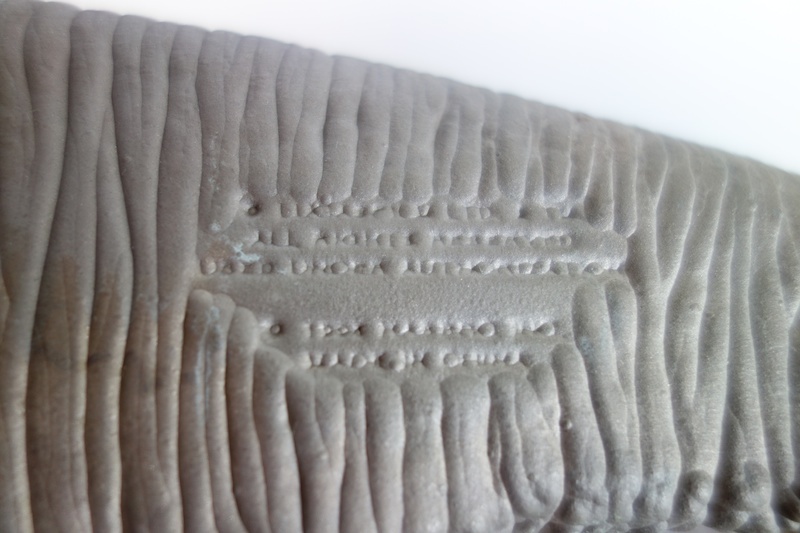 It’s a little hard to make out on the outside of the mold (and it’s reversed and difficult to see on the inside), but it has a copyright date of 1998.